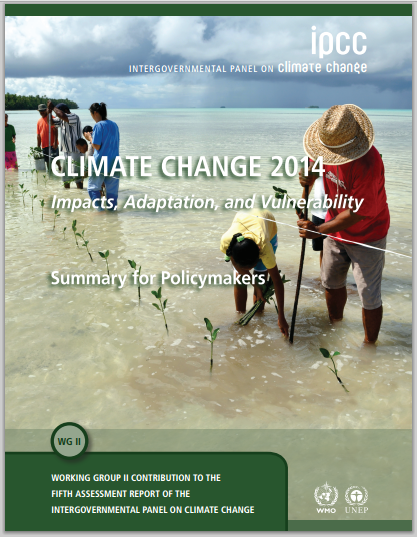 The three following summaries for policymakers were issued between October 2013 and April 2014. These documents are the base of the Synthesis Report that were considered in Copenhagen, Denmark, on 27-31 October 2014. The Intergovernmental Panel on Climate Change (IPCC) is the leading international body for the assessment of climate change. It was established by the United Nations Environment Programme (UNEP) and the World Meteorological Organization (WMO) in 1988 to provide the world with a clear scientific view on the current state of knowledge in climate change and its potential environmental and socio-economic impacts. 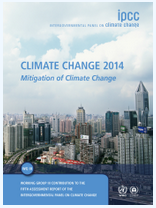 In the same year, the UN General Assembly endorsed the action by WMO and UNEP in jointly establishing the IPCC. 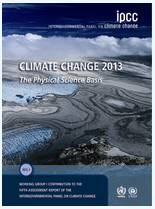 The IPCC is a scientific body under the auspices of the United Nations (UN). It reviews and assesses the most recent scientific, technical and socio-economic information produced worldwide relevant to the understanding of climate change. It does not conduct any research nor does it monitor climate related data or parameters. Thousands of scientists from all over the world contribute to the work of the IPCC on a voluntary basis. Because of its scientific and intergovernmental nature, the IPCC embodies a unique opportunity to provide rigorous and balanced scientific information to decision makers. By endorsing the IPCC reports, governments acknowledge the authority of their scientific content.